I’ve decided to make a couple changes around here. I’m ditching the usual Thursday post (What to Watch For) and combining it with my usual Friday predictions piece to bring you all a more broader weekend outlook. Lately I’ve been a tad more busy on Thursday mornings which were part of the reasoning behind this switch. Hopefully this format sticks and works a little better for all. First up, some key points going into the weekend. 1. Dealing with double. Every MLS club but Toronto had to do a double this week. 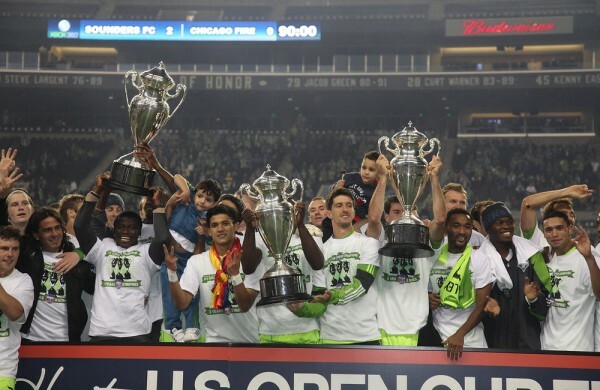 Either it was the US clubs in the US Open Cup or the two other Canadian clubs wrapping up their national cup on Wednesday night. The best way to put it is that everyone had to deal with the extra minutes this week. Some clubs however had to deal with a little more than minutes on the field but with miles in travel. Nearly all of the MLS western conference clubs had to go on the road for their US Open Cup games, many to the west coast. Both Colorado and Dallas were in Florida on Tuesday and then had to hurry home to get ready for a Saturday game in Denver. LA was in Carolina on Tuesday as well and will have a Sunday game in New England to deal with. Ouch. San Jose and Salt Lake meet this weekend as well and both were on the road during the middle of the week. Only a few clubs have it nice like Columbus, Sporting KC, and New York. All were home over during the midweek and all are home this weekend. 2. Next steps for Chivas USA. So Chelis is out. The fun quotes will be gone but one thing will likely remain the same in Chivas-land, this team won’t be any better anytime soon. They may do a tad better this weekend in response to an interim manager but I wouldn’t bank on this club getting any better until the summer transfer window and even then it will be too late. The Goats host a pissed off Seattle team that lost badly in LA last weekend and again this week in the US Open Cup, a tournament they practically owned for four years. That doesn’t add up to good luck for Chivas. 3. Who else is on the hot seat? We didn’t hit June before our first coaching firing in MLS this season but who is next? Obviously by looking at the standings Ben Olsen in D.C. would be the most logical choice. But what about Frank Klopas in Chicago? One has to believe he is also on that short list. But one name out there that could surprise some is Vancouver manager Martin Rennie. The Whitecaps haven’t had the best start to the 2013 season and after dropping the Canadian Cup to Montreal on their home turf this past week, you have to think his time is starting to run out. Olsen and Klopas both have gotten a vote of confidence from their superiors already this season, Rennie probably isn’t too far away from one of those as well. 4. Defenseless in San Jose. The magic is gone in San Jose from last year. Anyone who thinks this year’s version of the Goonies can repeat what they did a year ago at this point is kidding themselves. Frank Yallop’s club is struggling not only to score goals but to keep goals from getting in their own nets. This weekend won’t be easy as he has to deal with injuries and suspensions to his back line. The shuffling on the back line that Yallop has had to do this season has hurt the cohesion that his club had a year ago. But again, let’s face it, the magic was gone the second LA knocked them out of the playoffs a year ago. Philadelphia Union at Toronto FC: As mentioned before, Toronto was the only club not to deal with a midweek game. This one comes down to defense and Toronto has very little of it. At least not enough to handle Jack McInerney. Vancouver Whitecaps at New York Red Bulls: Tough swing of things for Rennie’s bunch to lose in the midweek to a rival and then have to go across North American to play New York, one of the league’s top clubs. Not having suspended Nigel Reo-Coker won’t help his cause either. New York should roll through this one fairly easily. Houston Dynamo at Columbus Crew: Life without Eddie Gavin for the Crew begins this weekend. The veteran midfielder was injured in the USOC match with Dayton on Tuesday. Houston will also be missing their midfield playmaker in Brad Davis, so maybe we can call this one even. A lot depends on the attacks of these two clubs, both are good enough on any given day but without someone pulling the strings for them, I think it all ends level. 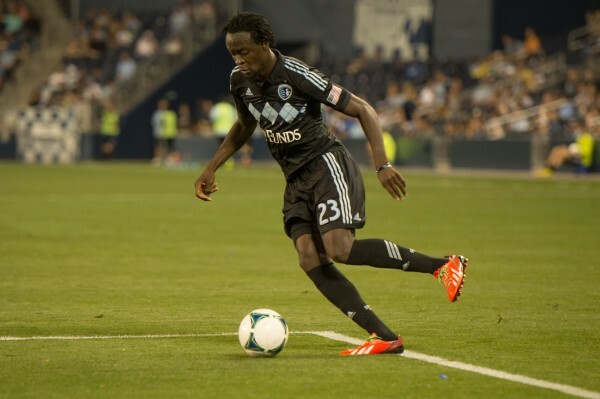 Montreal Impact at Sporting KC: Now to see what this Montreal side is really made of here. They win the ACC on Wednesday and now they hit the road again to face Sporting KC. They do get a SKC squad without Graham Zusi though, which has to help out in a big way. The thing is, I see the Impact crashing in this one. FC Dallas at Colorado Rapids: Dallas used a mixed group on Tuesday in their USOC win in Fort Lauderdale, while Colorado did the same and lost in Orlando. Dallas will be getting Andrew Jacobson back in the midfield for this one, which should help things out for David Ferreira. But can Dallas handle Deshorn Brown and his pace? Ah, lets just call this one a draw and move on. San Jose Earthquakes at Real Salt Lake: No defense and a struggling offense won’t help San Jose out in this one. Salt Lake has looked good in recent weeks and we know what kind of club they are at home too. Seattle Sounders FC at Chivas USA: The firing of Chelis makes this one tricky but I’m going with Seattle not just because of talent but due to the fact that they will likely steam roll the Goats in this one after their disappointing last two games. LA Galaxy at New England Revolution: Tough scheduling break for LA again. It seems they are getting all the Eastern Conference teams on the road here this season. New England is playing well and will cause some issues for LA in this one. I just see the Galaxy doing enough to leave with a point. D.C. United at Chicago Fire: Two bottom clubs squaring off in the Windy City. Something will have to give right? Eh, the Fire should take this one on their turf with Mike Magee making his league debut with the club. East Coast Biased In US Open Cup?